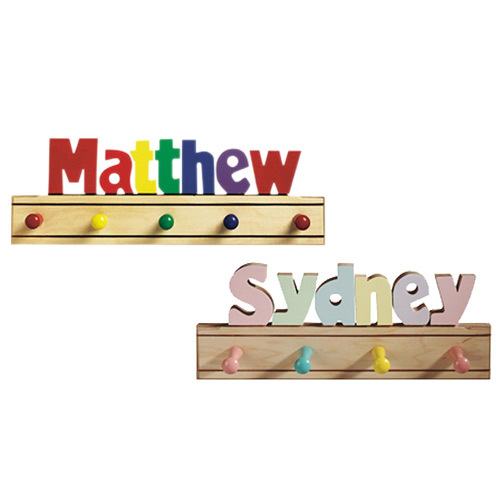 20.5" x 6.5" x 4.5"
Your child will look forward to keeping his/her room neat and tidy with this coat rack. 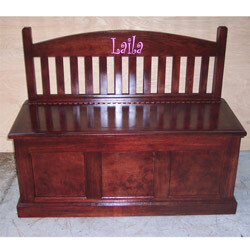 The quality wood and non-toxic paint make for a durable and safe item to have around your child. 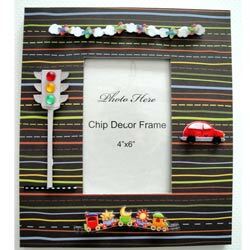 This is a great way to let everyone know whose room it is! This was a gift from my mom to my little one. 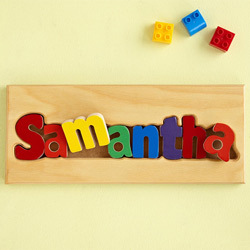 this wooden coat rack is sturdy and the best part is it is personalized with his name on it. A coat rack specially for kids room..quite adorable! !